Jane Green is a leading author for those looking for laughter, a bit of drama, and a touch of romance. She is the Queen of women's fiction and has a loyal group of readers. I read her latest, FALLING, as well as her recent cookbook, GOOD TASTE, and enjoyed them both although I was a bit miffed by the ending in FALLING. I am always a sucker for sister stories since I am one of three and this one truly piqued my interest. Three daughters have grown up under the neglected mothering of Ronni Sunshine, the narcissistic movie star who only had time for her children when she was wanting to show them off or when she was ill and needed them to cater to her needs. As the story flashes back to some of those awful situations of neglect and poor parenting, you begin to see the reasons why all three daughters, now in adulthood, rarely speak to their mother or each other. Nell is the tomboy of the group and ends up running a farm not too far from home. Meredith ingested all of her mother's criticism as well as all the snack food in sight and ran off to London to get as far away from critical eyes as possible. Lizzy, the baby and most like her mother, is ambitious and famous in her own right as a chef, hosting New York City's popular supper clubs. All three have bitter feelings about their past and have avoided rehashing old wounds with their mom or sisters until they each receive a phone call demanding they come home immediately. As they learn of their mother's illness, each sister handles the news in different ways and begins to reconnect in pieces with each other. The development of characters is one of Green's talents and she easily gets me wrapped up in the stories of each of these women. She creates these characters with identities we love to hate, then empathize with, and eventually understand their reasons behind the choices they made in life. But, unfortunately, the storyline doesn't offer much excitement for the reader due to its predictability. I didn't have the emotional attachment to any of the characters that I normally would in a story like this. I could find parts of each character to identify with and commiserate about my own poor choices from the past, but I never felt emotionally connected to them. As you move to the final third of the book you can see their "Aha" moments appear on the page while watching these women leave the shell that has been protecting them from hurt. Each of the daughters learns something about themselves through these final moments with their mom and you leave the novel feeling happy for them. Even though most of this novel is full of family drama and sadness, there is a bit of redemption of character when Ronni shares private conversations with each of her daughters. You may not ever like her or her daughters, but you will know, behind all the anger and sadness, there was still love. 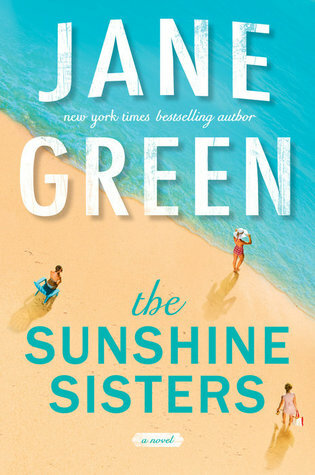 Sign into Goodreads to see if any of your friends have read The Sunshine Sisters.